Start with brief separations well before the first day of school approaches. Try stepping out of the room and announcing when you return. As your child becomes more comfortable with brief separations, try leaving them with a family member or babysitter for small periods of time. This helps them practice being away from you and seeing you come back home. A group play date with limited adult intervention might be the best practice for preschool. If you suspect your child will display symptoms of separation anxiety, arrange a preschool visit and meeting with teachers before school starts. This way they’ll know who will be greeting them in the morning, and they will be more comfortable in the building and classroom. Tell your child goodbye and make your exit without sneaking out of the room. Sneaking out may cause them more anxiety because they won’t know whether you’re still in the building or not. 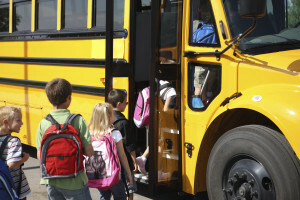 Make a quick, positive goodbye to let them know you are exited for them to have fun at school. If you know you won’t be back to pick up your child for a few hours, don’t tell them you will check in thirty minutes afterward or wait outside in the car. Being truthful will help build trust between you and your little one, so they can know when to expect you after preschool. Your child may be absolutely fine separating from you one week and then have a meltdown the next. Or, they may regress on something at home such as refusing to put on their own clothes or having an accident after they’ve already been potty trained. Occasional regression can happen when young children are exposed to a lot of change at once and they should adjust over time. If your child has these regressive slips constantly, it is best to talk with their teacher or pediatrician. Teachers are child experts. Your child’s teacher may offer them a hug and be extra comforting if they’re aware of anxiety over parents leaving. They may also have ideas for helping your toddler cope like giving them a job in the morning to keep them distracted, i.e. passing out toys or supplies. Don’t hesitate about scheduling an appointment to talk to them about strategies for helping your little one with the separation. 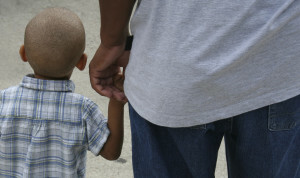 Every child reacts to separation differently. While some children show their anxiety in the classroom, others may express it at home. Recognizing the signs of separation anxiety and helping your child adjust will allow them to become more comfortable in the classroom, and it is great preparation for the transitions they will have in the following years. Want more information and tips about school? Are you concerned about your child’s transition to a new school? Find tips to make the transition easier & signs your child might be having a hard time. 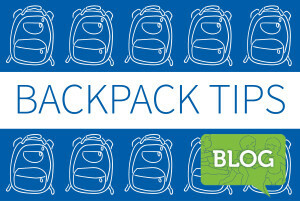 Use these tips to help make sure your child is choosing the right backpack and wearing it properly. Previous Previous post: What are Hypertonia and Hypotonia?